We thought we’d spread a little holiday cheer this year in the form of cheesecake. 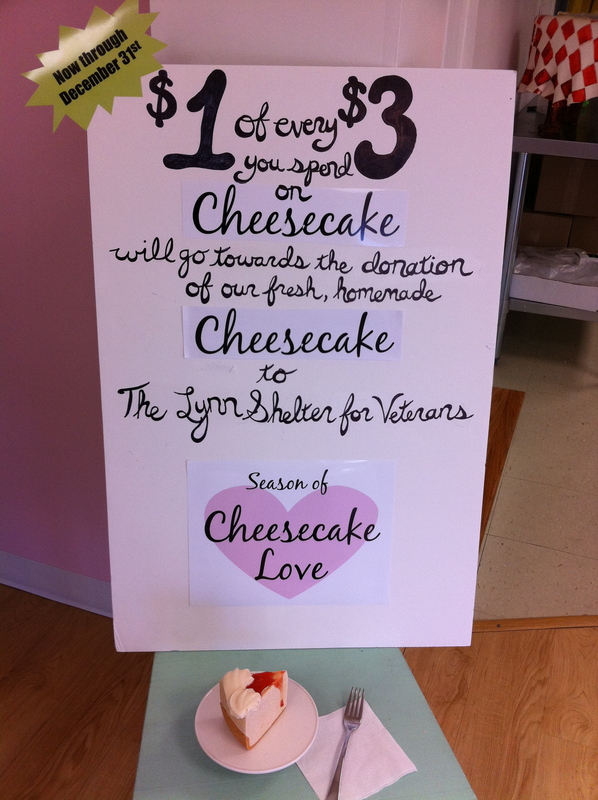 Purchase a cheesecake for dessert at your family get-together this holiday and a portion of the proceeds will go towards to donation of a cheesecake to the Lynn Shelter Association, specifically for Veterans where they serve daily hot meals. Check out their site. This promotion will run through December 31, 2010. Thanks to everyone who purchased cheesecake this month for helping in our effort to spread a little cheesecake love!